Grease a baking sheet and place one piece of the salmon in it. 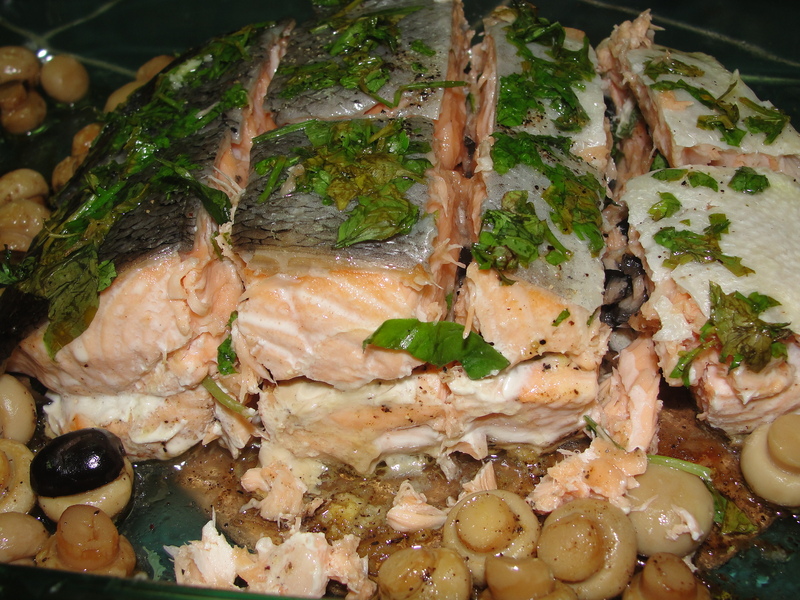 Season the salmon pieces with salt and pepper then add the chopped parsley and sliced black olive on top of one piece. Put the other piece on top of it and tie them together using clean threads. 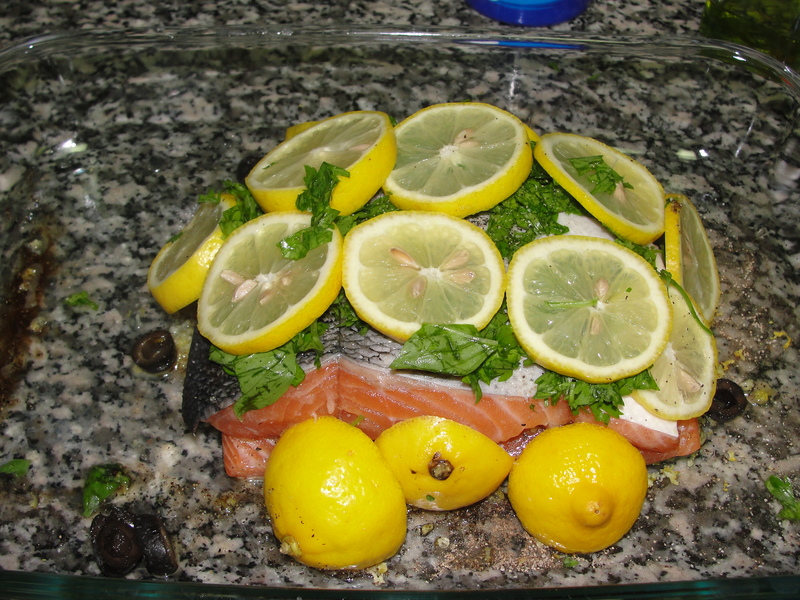 Slice the lemon into circular slices and put them on top of the salmon and some on the sides. 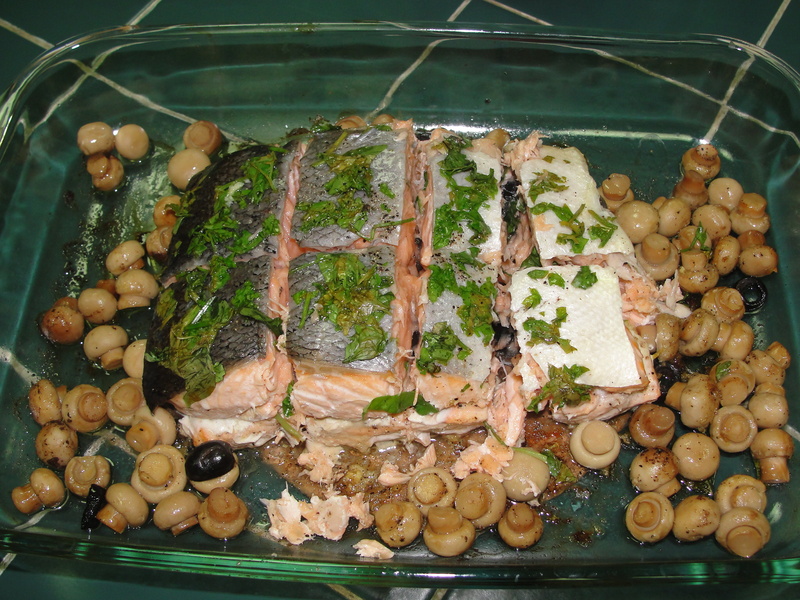 Throw some mushroom around the salmon pieces in the Pyrex sheet and bake at 400F/250C for 45 minutes until the salmon is well cooked. Remove the lemon pieces and serve. 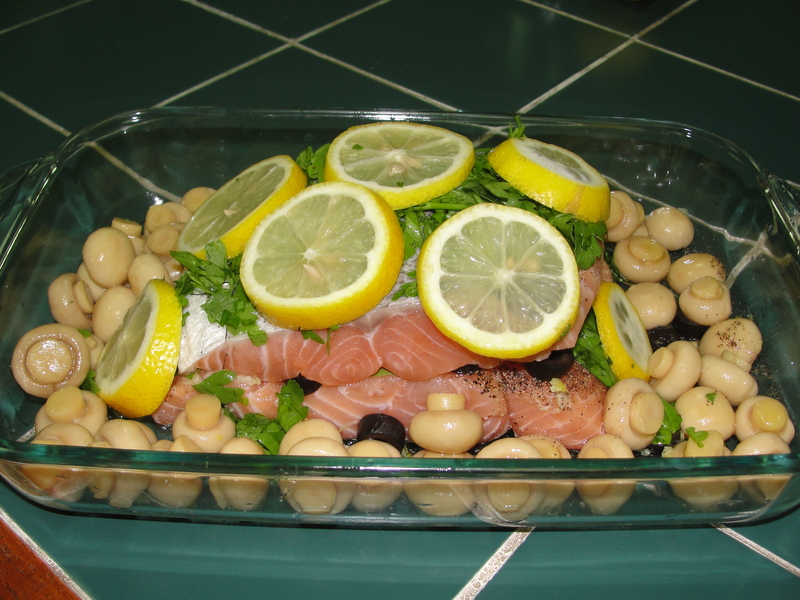 This entry was posted in Sea Food and tagged Gluten Free, Low Carb, Salmon, Sea food. Bookmark the permalink.